Last night I had a dream. And then I went home, and had a dream. 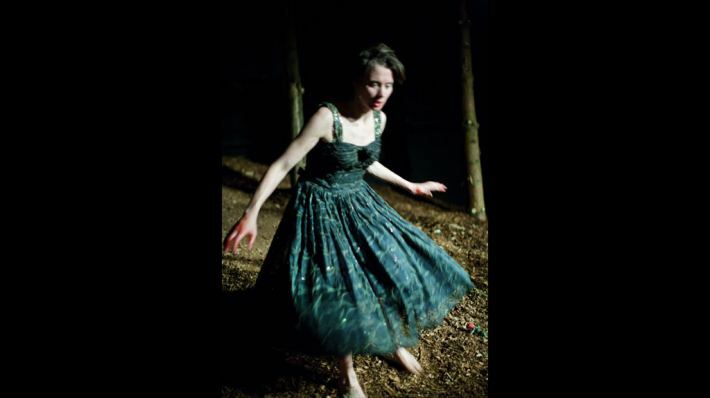 The Drowned Man is the new production by notorious theatre company Punchdrunk, this time staged with the backing of the National Theatre. Having missed their previous London show, The Masque of the Red Death (now six or seven years ago), I was desperate to see this one. 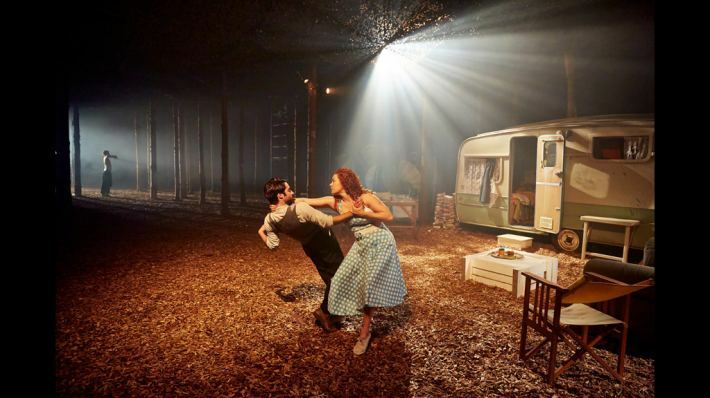 As it happens, Punchdrunk seem to have anticipated this yearning among their London audience by enormously inflating both the number of tickets available and the space in which the production takes place. There are plenty of reviews online which will give you a flavour of the experience, without spoiling it for those who haven’t been (I do strongly recommend going, though, especially if you’re a Punchdrunk virgin). Critical opinion splits about 80:20 in favour and the show tends to excite opinion to one extreme or the other – those who love it adore it, those who hate it do so with a passion. I want to use this post to explore what the experience meant to me, and to maybe start a discussion about how cinema – especially horror cinema – might learn from what Punchdrunk is doing. Because I (like the whole audience) had to be masked throughout I couldn’t wear my glasses. My prescription isn’t very strong, so I could manage without. This meant, however, that my vision was slightly obscured, so that everything not up close took on a blur. What made it worse was that every bit of the production space (we’re talking 100 rooms spread across four – or was it five? – floors) was filled with a gentle smoky haze. So the action unfolded in front of me in a mist, people’s expressions vague, their faces indistinguishable, the lights rendered remote yet still blinding at the wrong angle. On top of this, the soundtrack (relayed through speakers in every room, but different depending on where you were) was remorseless, varying from torch songs to half-heard snatches of music to throbbing drones and hums. Every room was fitted out in the richest detail, all of it lovingly and accurately redolent of its 1960s Americana movie setting, whether that be a suburban home, a medical lab, a foley studio, a cinema or a dingy motel. And in every room, surrounding the actor-dancers, pressing in from all quarters, were us: the audience. Masked. Every one of us in a death’s head mask which hid the mouth so not a single expression was visible. In the obscure lighting all I could see was the same face, duplicated across the darkness, its plain, greyish, blank stare confronting me. A crowd of ghosts. And my mask pressed on my face so I couldn’t breathe deeply. Doesn’t this sound like a nightmare? That’s the idea. 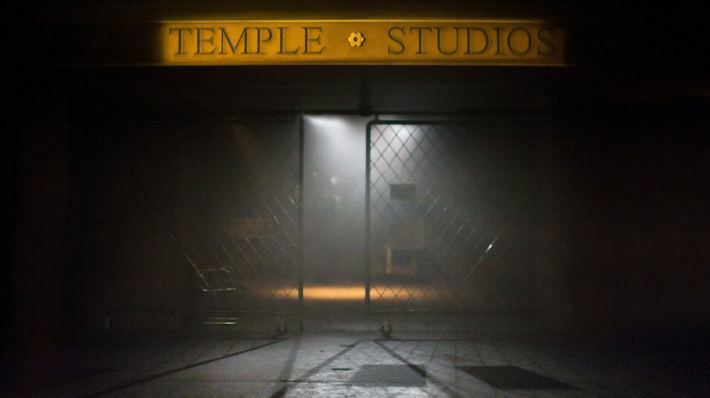 Punchdrunk’s trademark is bringing alive the darker, unsettling aspects of the story (and they’ve picked some pretty dark stories to display over the years – Macbeth, Peter Grimes, Woyzeck – so much so that some critics are wondering if they can actually move out of what appears to be settling into a thematic comfort zone). Hammered by the ear-splitting soundtrack, disturbed by the ghostly faces and the darkness, fearful of the unpredictable story and of being caught up against my will in the thick of the action, I felt I was living in someone else’s subconscious brought alive around me. And when I caught sight of my own unblinking, unmoving face in a mirror, it was like a threatening stranger challenging me to do something but giving me no hint what. I went home from the production, utterly exhausted from three hours of walking (occasionally running), concentrating, staring into the blur, feeling my ears bleed from the noise, and trembling with fear and anticipation. That night, I had a dream in which the character playing Wendy – with whom I felt I didn’t spend nearly enough time – climbed up to an enormous clock near the ceiling which she somehow folded around herself. She then sang the “In Heaven” song from Lynch’s Eraserhead. Sitting here now, my head still cloudy and spinning, I’m no longer sure which parts of the experience I lived through in real life and which parts I dreamt. Shouldn’t horror cinema leave you feeling like that? How would we, as horror filmmakers, achieve the same sense of confused reality, the same kind of disturbed mental state, the same blurring of the real and fantastic? 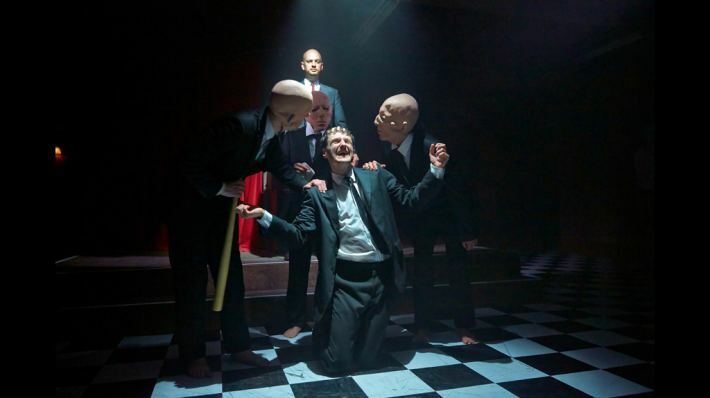 Our audience does not move around wearing masks: it sits in padded chairs in a cinema, or in a brightly-lit living room, or in front of a computer or smartphone. That fourth wall – which Punchdrunk breaks so immediately and effectively – is always there in a film, a barrier to full immersion. 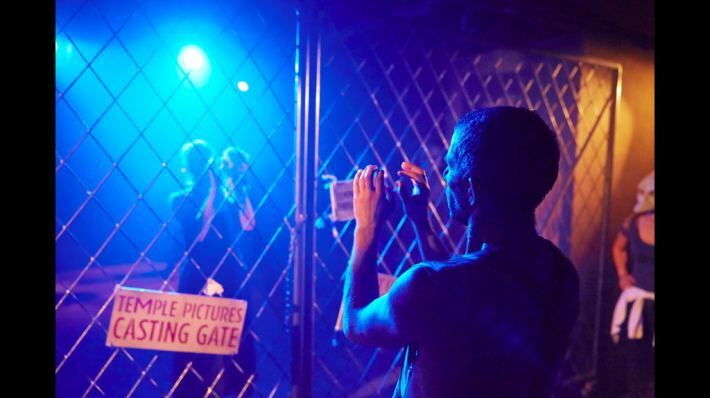 How do we close that distance between us and the audience, so that they are no longer safely behind the glass looking through it? I don’t know the answer (although I have a few ideas, which I’ll keep to myself just for now because I might want to use them). But right now there’s a sense amongst aficionados that Punchdrunk has peaked, that this is the culmination of its last ten years or so of activity. Perhaps it’s time for other art forms to think about how to incorporate some of the Punchdrunk experience into what they offer. For those of you expecting an update on the shooting of The Ditch, there’ll be an announcement soon. In the meantime, I wanted to explore an issue which has been on my mind for some time but which has been brought into focus by recent events. As some readers may be aware, there has been controversy in the last 24 hours, because the UK supermarket chain Asda has been caught selling Halloween costumes labelled “mental patient costume”. There’s a screenshot below. As you can see, the costume consists of a tattered, bloodstained white coat, a plastic meat cleaver, and a mask which appears to have been modelled on Leatherface of Texas Chainsaw Massacre fame. It’s a genuinely unsettling costume and one which would probably be pretty effective if you caught someone unawares on a dark Halloween night. But even if your intention was just to create an edgy, slightly troubling but fun costume which would have people doing a double-take before laughing, it would be a crude but enjoyable product to wear. After all, it’s exactly the kind of thing you expect people to wear when they go out to a Halloween party, and it saves you from finding a lab coat and tearing it up before dropping half a bottle of ketchup over it, then wrapping some bandages (or, in an emergency, some toilet paper) around your head. But the costume has caused outrage on Twitter. Now, I know you only have to sneeze to cause outrage on Twitter, and the medium has a tendency to attract the thin-skinned and easily provoked. Nevertheless, a Twitterstorm has erupted and Asda has withdrawn the costume from sale (no word, at the time of writing, of who the manufacturer is or whether they too have withdrawn the product). 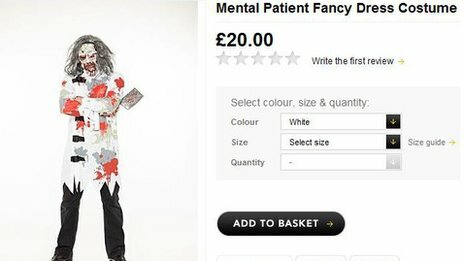 If you need the reason for this spelling out, it’s because of the product description – “mental patient fancy dress costume”. (There’s some evidence, incidentally, that the product was originally intended to be called a ‘zombie’ costume.) To be brief, people have objected to the association of the words “mental patient” with a dangerous, out of control, homicidal person who appears barely human. I, too, find this offensive, and I’m glad the product has been withdrawn (although I think I would have been content if it had merely been re-titled). Why did I find it offensive? Because, like one-quarter of the population, I have suffered from mental health problems. In my case it was suicidal depression which reached its peak about 13 or 14 years ago and came close to threatening my life. I was put on anti-depressants (largely ineffective) and given a year’s free psychotherapy on the NHS (partially effective – the therapy, that is, not the NHS which is mostly wonderful). I’m not going to go into the details of my illness, except to say that I’ve come out the other side now and I feel much, much better than I did back then. Had it not been for the professionals, however, I might not be here today. I mentioned in my post about women horror film directors that Sheena had also written an article, from a personal perspective. This goes together with my interview with her, which I posted a couple of days ago. You can find Sheena’s article in its entirety here, but I wanted to take some of the things she said and match them up with points from my article, to try and get an overall perspective of the problem (if it is a problem – and Sheena and I both think it is). Throughout my life I have never really thought anything of it. 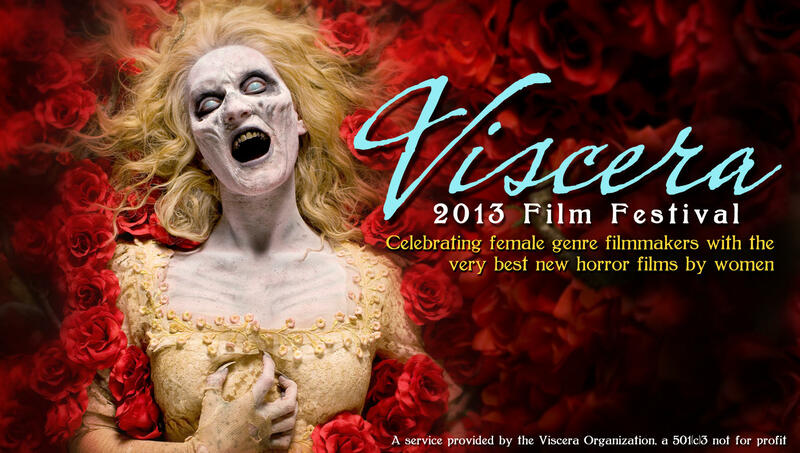 I am a fan of horror, I am a filmmaker and I am aspiring to make a horror feature film. The fact that I am female doesn’t mean a thing. So a list compiled by a collection of people who are really passionate about the genre. Out of one hundred films listed guess how many were directed by a woman?? I spent some time in my article questioning why this was the case, and there may be good reasons why it is – if we’re looking backwards at the history of horror cinema. 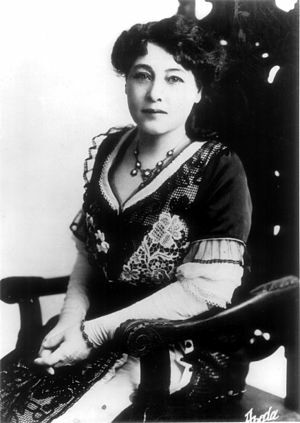 But when it comes to looking forward, I observed that there is a lot of output by women in the genre and that it needed light shone on it.